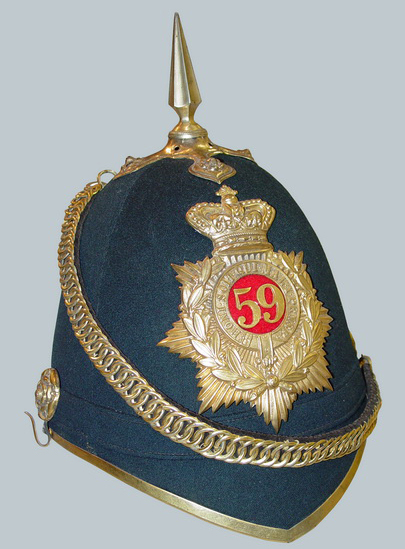 Shortly after the adoption of the Home Service Helmet in 1878 by the British War Office, the Canadian Department of Militia and Defence (M&D) followed suit. However, within a few years this pattern, which included blue helmets for Infantry and the various Corps, Green for Light Infantry and a short-lived dark Green for Rifle regiments, M&D did a volte face and ordered the white ‘Foreign Service’ pattern helmet for general use. It has been stated that the change followed comments by British officers on exchange to Canada who believed that, as they were attached to M&D on Foreign Service, then certainly all Canadians were also on ‘foreign service’ as they were not serving in Great Britain. 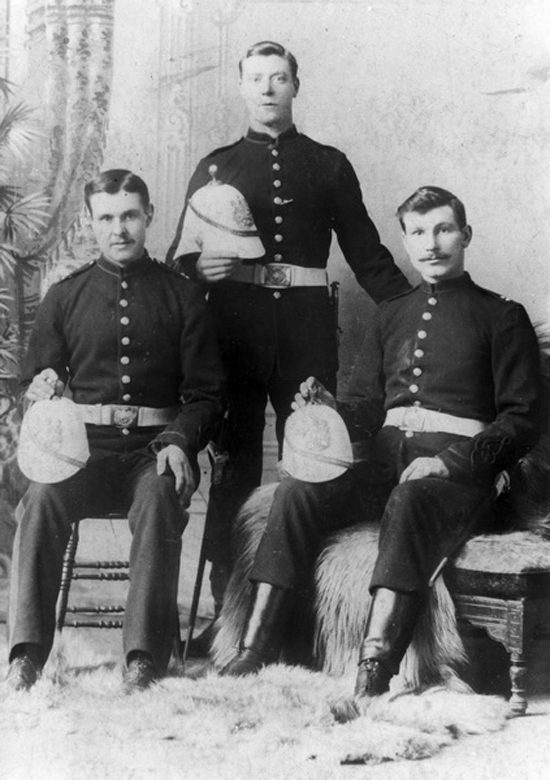 Whatever the actual reason, in 1886 the white helmet was adopted for use throughout the Canadian Militia but was termed, in Canada, as the ‘Universal’ pattern helmet. 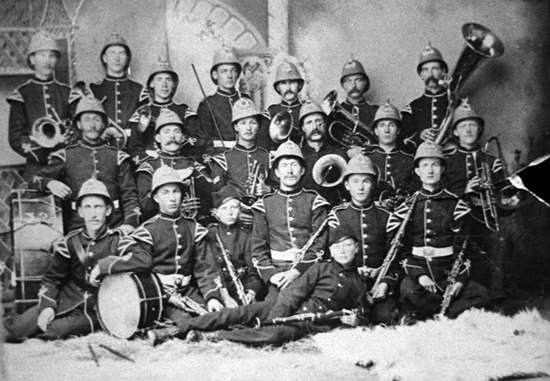 Notwithstanding the date of adoption, the Canadian Engineers wore the universal pattern as early as 1880. Early examples were obtained from British suppliers but Canadian firms, such as William Scully of Toronto (and later, Montreal) began production. However, some regiments chose to purchase US-made helmets for both cost and speed of delivery. M&D swiftly put a stop to this arguing that the US helmets did not conform to War Office specifications. The Universal Pattern helmet in Canadian wear followed regulations set down in Britain insofar as description and furniture but, as is to be expected, Canadian pattern helmet plates were used. By the mid-1890 a number of regiments sought, and obtained, permission to wear coloured pugarees. These range from a simple silk scarlet pugaree wrapped around the crown to detailed, multi-coloured pugarees. As was typical of the Canadian Militia of the day, adherence to regulation was in inverse proportion to the distance to the local headquarters resulting in a number of regiments adopting colourful pugarees with no prior approval. Most regiments however, either retained the integral single-fold band or elected to use a white, multi-fold pugaree. 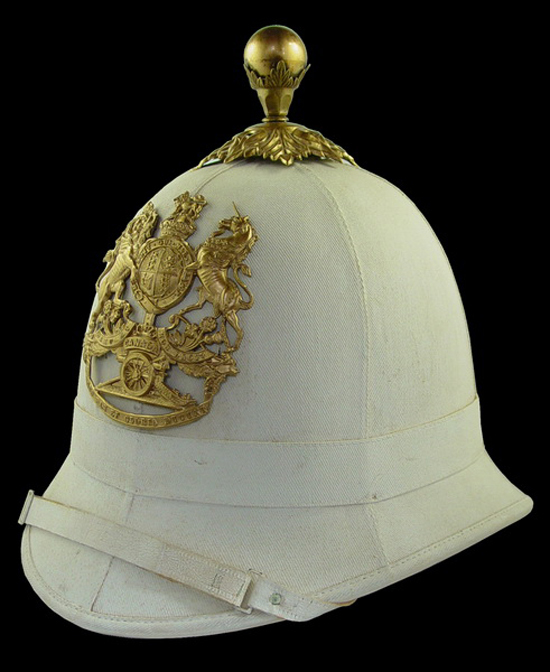 It was this white Universal pattern helmet that was worn by Canadians in the Boer War. In keeping with local orders, the helmet was covered with a khaki cover and later, the white helmet itself was field-coloured khaki. 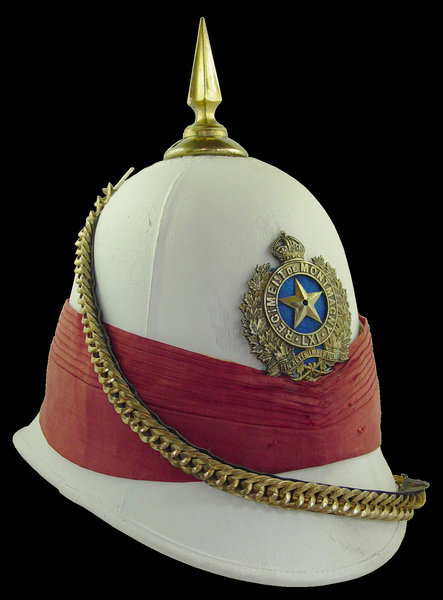 By 1910 the use of large helmet plates was discontinued and Regiments were permitted to use the badge normally worn on the forage cap. That same year M&D advised officers that the Wolseley helmet would soon be introduced into wear. By mid-1911, Routine Orders advised the change to Dress Regulations and the Wolseley helmet formally replaced the Universal pattern helmet.